Beds & Bucks Forktrucks LTD are a family run business with over 30 years of experience within the material handling industry; providing quality forklifts, heavy-duty lifting equipment, forklift attachments and forklift accessories and service in the Bedfordshire, Buckinghamshire and surrounding areas. At Beds & Bucks Forktrucks Ltd we provide full service and repairs for all makes and models of forklift trucks, from single truck users to full mixed fleets our fully equipped service response vehicles and highly trained engineers provide you with the full package of support for your material handling equipment. Our warehouses are located in Newport Pagnell, easily accessible from Milton Keynes and surrounding areas in Hertfordshire, Bedfordshire, Buckinghamshire, Oxfordshire, Northampton, Hemel Hempstead, Cambridge, Hatfield, Stevenage, Rugby and High Wycombe. With over 30 years experience selling, renting, repairing and servicing forklift trucks, Beds & Bucks are an established family run business operating in the South East of England. After supplying new & used forklift trucks to Milton Keynes, Luton, Leighton Buzzard, Aylesbury, Buckingham, Dunstable, Bedford, Bletchley, Oxford, Watford, St Albans, Hitchin, Welwyn Garden City, Northamptonshire, Cambridgeshire, Potters Bar, Kettering, Corby, Banbury, Bicester and surrounding areas for such a long time, we have built a strong reputation of top quality service with our customers in the local area. 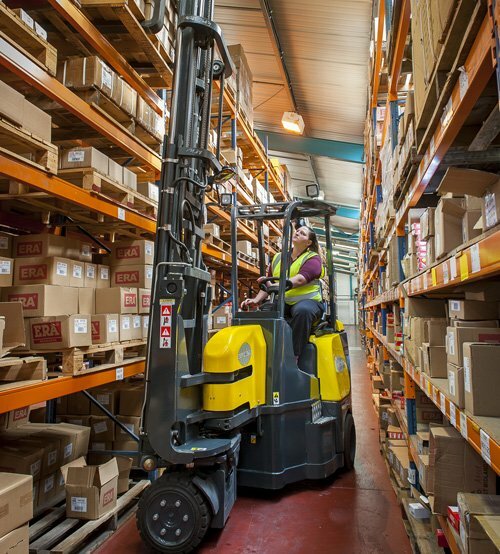 We offer a huge range of brand new Clark, Combilift, Aisle-Master, Jungheinrich and Tailift forklift trucks with flexible hire purchase for businesses of all sizes. We also offer a huge range of used forklifts as well as a range of narrow-aisle and sideloader forklifts. For the past three decades, we have stocked a huge selection of new, used and rental Clark forklifts from our location in Newport Pagnell, Buckinghamshire. Whether you are looking for a forktruck suitable for indoor or outdoor use, Clark is one of the industry’s most progressive and responsive manufacturers. 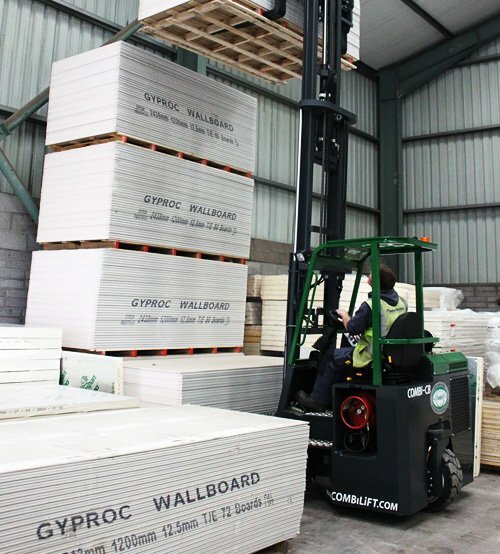 Renowned for sideloading forklift styles, the Combilift range is capable of lifting capacities up to 35 tonnes and designed to handle long loads with ease. Our selection of new, used and rental combilift will meet all of your specific sideloading forklift needs. Designed to improve workplace productivity, the Aisle-Master range offers versatility and manoeuvrability. From our warehouse in Milton Keynes, we offer brand new, used and rental Aisle-Master forklifts including both petrol and electric versions. Founded in 1958, the German manufacturer Jungheinrich offers a wide range of forklifts suitable for various applications including narrow aisles, industrial and indoor/outdoor use. If you're looking for a new or used Jungheinrich forklift truck give us a call or contact us online through our website. Established in 1973 in Taiwan, Tailift forklifts are renowned for being cost-effective and reliable whatever your specific forklift requirements. The Tailift forklift range are suitable indoor and outdoor for maximum flexibility for your business. Bendi have been designing and manufacturing ground breaking, award winning, space saving articulated forklift trucks for more than four decades. From our Milton Keynes location, we stock a huge selection of new, used and rental Bendi Forklifts. 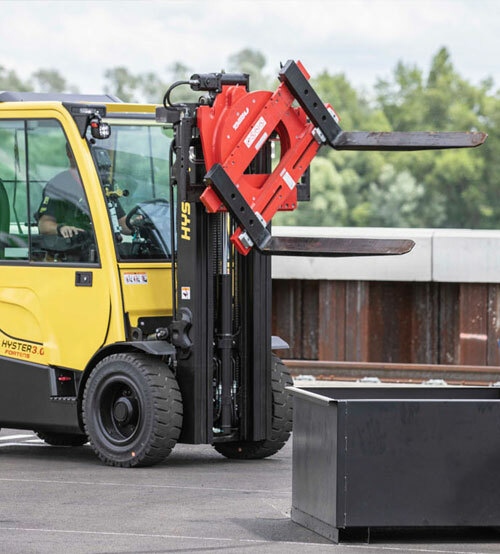 Hyster forklift trucks combine innovative design, industrial quality components and state of the art manufacturing and testing, making them one of the most robust on the planet. For new, used and rental Hyster forktrucks, contact us today. Since 2002 the group brand Boss has been abandoned and equipment sold under the singular brand name of Jungheinrich. If you are looking for speciality Boss branded equipment or used Boss forklift trucks, we still carry a select range of Boss forklifts available for purchase or hire. © 2019 Beds & Bucks Forktrucks Ltd, Hurst End Industrial Units, Hurst End, North Crawley, Newport Pagnell, Buckinghamshire MK16 9HS.